End of the year is time when people feel more generous and share their prosperity with the less fortunate. Many donors report the contributions later on their tax returns to lessen the tax burden. Every year the IRS sends a reminder that certain rules must be followed to qualify the charitable donation as tax deductions. If you decide to donate money make sure that you have a solid evidence of that gift. In case of an audit a bank statement that lists the charitable donation, name of the charity, and a date would be a good proof. In general, any official document generated by a bank, financial institution, the organization that received a donation (receipt), and even the employer can serve as a proof of donation. To avoid any problems, it should have minimum information eliminating any doubt that the contribution was made. Recordkeeping can be easier if you plan things ahead of time. 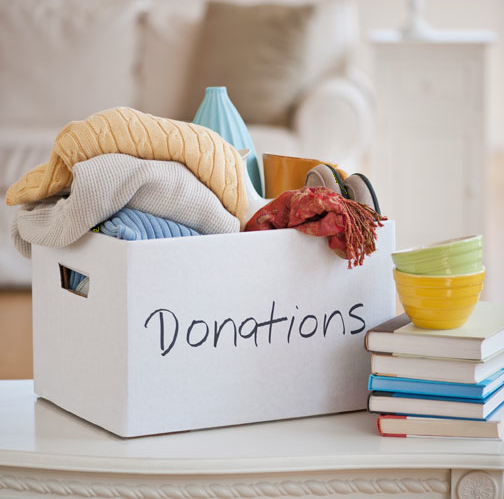 Noncash Charitable Contributions form can be a good starting point to keep track of donated goods. Fill it out as you make donations and this way not only you don’t have to scramble to provide necessary details, you’re ready to include that with your tax returns as soon as you’re ready to file taxes. Last but not least, donations must be made to qualified charities. Gifts made to religious and government agencies are typically deductible. For non-profit agencies you can try out Select Check tool offered by the IRS to ensure the charity you donate to meets the requirements of a qualified institution. Don’t forget you have to itemize deductions if you decide to include donations in your tax return. See Schedule A (Form 1040) for more details.